Posted by Yusuf Abramjee @abramjee and share please. We arrived in Istanbul Turkey earlier today and flew to Hatay, some 2 hours away. I am part of the Al-Imdaad Foundation team which includes Qari Ziyaad Patel, Ayesha Patel and Moulana’s Abdulla Chohan and Mohammed Motala. After briefings by executives of the IHH Humanitarian Relief Foundation, in Reyhanli, I fully understood the mass scale of the suffering. Over the next three days, we’ll be visit refugee camps/orphanages and will also engage with NGO’s. Reyhanli is on the Turkish/Syrian border. The IHH, which has some 650 employees, runs a massive humanitarian programme in this region. I counted some 100 trucks loaded with aid for the refugees (with food, blankets, mattresses etc) ready to go to the various camps. The regional IHH HQ is massive and it very well organized and professional. The Al-Imdaad Foundation is the main Southern African partner of the IHH. 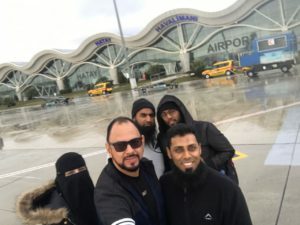 Qari Ziyaad Patel and his team are regular visitors to the region to oversee the humanitarian programmes. *There are some 3-million Syrian refugees on the border with Turkey. *In Reyhanli (2km from the Syrian border) where we are there are 120 000 refugees. *There are about 1-million young refugees and only 50% go to school. *There are 1500 orphans (ages 1 to 12) in Reyhanli alone. There are just over 30 000 orphans along the border area. @IHHen runs 40 bakeries and 2-Million loaves of bread are distributed to refugees daily. *There are 250 refugees in Reyhanli who are paralyzed. Many are children. They were shot while others were injured by bombs. *Some women refugees are prostituting themselves to support their children. *@IHHen says “block houses” are needed urgently. Costs: 8000US$ (about R120 000). It is in Syria 5km from Turkish border. Thousands of these houses are needed for refugees. *@IHHen says they are in need of blankets and warm clothing. It’s freezing here and it’s about to snow. and medicines. Diapers are needed too. *Aleppo is 50km from where we are. Idlib is about 10km across the border. There are also several refugee camps in this area served by IHH. *@IHHen says people must work with local NGO’s in their countries such as @Alimdaad and others to ensure aid arrives swiftly. Cash donations is the quickest way to get the aid where it is needed most. *The Tiny Hearts Village will be the biggest orphanage in the world when it is opened here soon. We looked at the model and will visit the site on Wednesday. It’s almost compete. *In Reyhanli, some children brave the cold and rain begging for food. It breaks ones heart. The Al-Imdaad has also channeled funds raised by itself and #OperationSA to various IHH programmes. We will monitor the distribution over the next 48 hours. The next few days are going to be tough as we see the scale of suffering. We have been warned that what we are about to see if heart-breaking and distressing. Volunteers who have been here from across the world leave traumatized and the images continue to haunt them. #OperationSA has received several requests from people back home who want to come and volunteer with humanitarian efforts. It’s on our agenda with the IHH and the Al-Imdaad Foundation for discussion. We have also received scores of enquiries about people who want to adopt orphans. Experts here say this is not an option for now because taking children out of this environment can be detrimental and there are a number of legal issues as well. Thank you 🇿🇦 for your support. Let’s continue to make a difference. 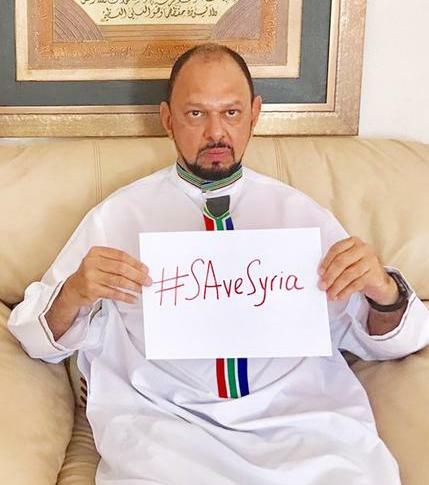 Follow @abramjee and @qariziyaadpatel on Twitter for regular updates. 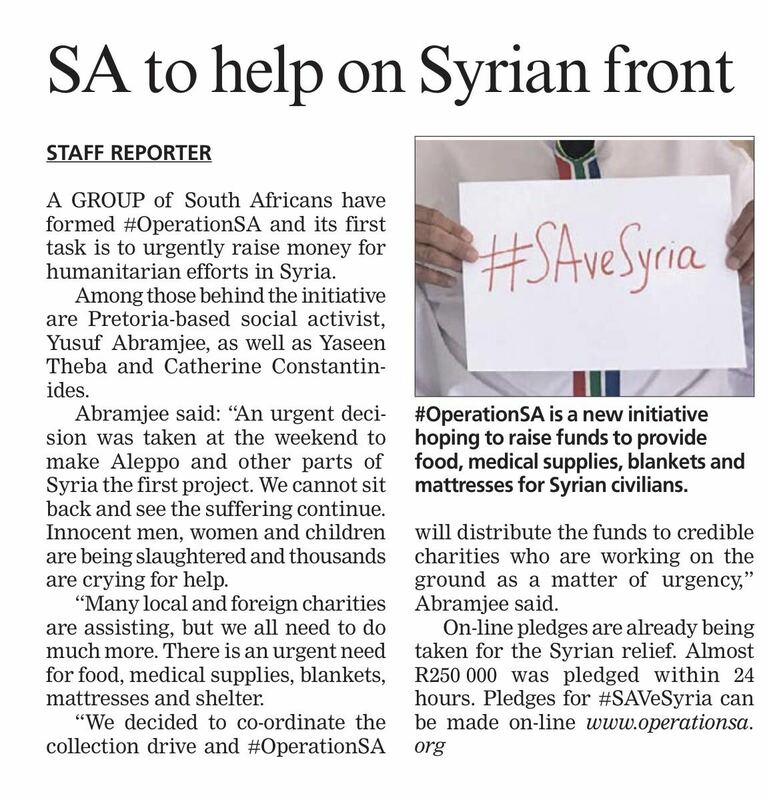 JOHANNESBURG – A group of South Africans have formed an organisation called Operation SA to urgently raise money, for humanitarian efforts in Syria. 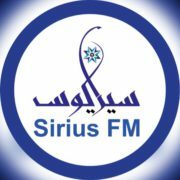 The non-profit organisation says its mission is to reduce human suffering in Aleppo and other parts of Syria by raising few million rand because innocent men, women and children are being slaughtered and thousands are crying for help. Among those behind the initiative is social activist Yusuf Abramjee, who says they cannot sit back and see the suffering continue. 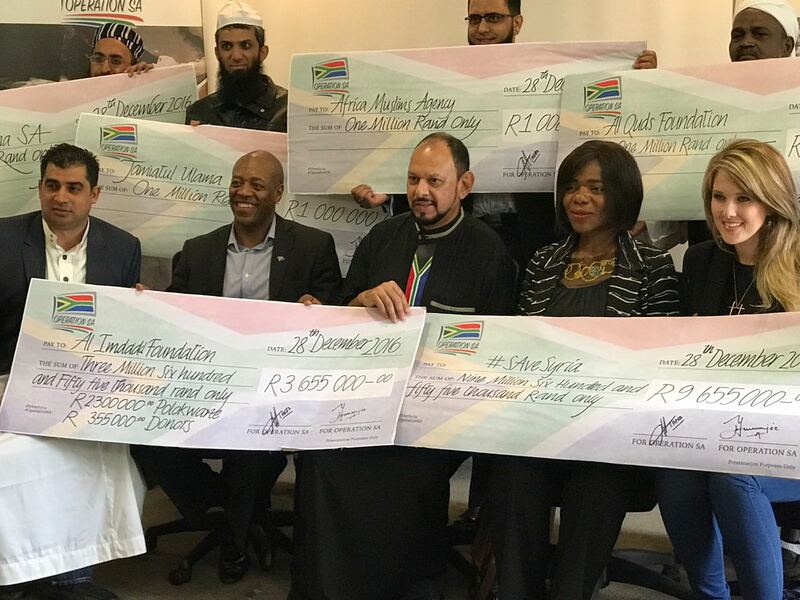 Abramjee says the organisation will distribute funds to credible charities which are working on the ground as a matter of urgency.